Onipunks clarifies release plans for upcoming title. 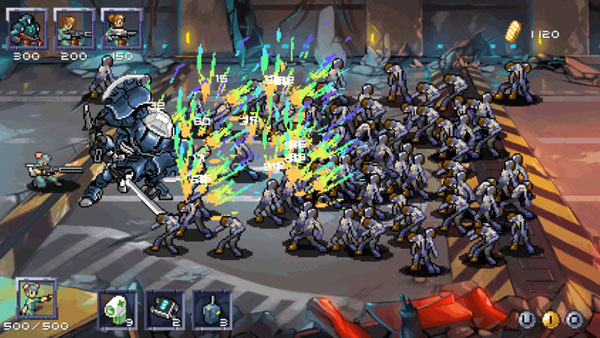 Onipunks has clarified release plans for its upcoming roguelike, real-time strategy, and action RPG combination C-Wars. Following its Xbox One debut at ChinaJoy this past weekend, C-Wars project lead Loup Zhou told Gematsu that the Chinese version of C-Wars will be exclusive to Xbox One for a certain time. The Steam and Android versions might launch by the end of 2014, but the PS Vita and 3DS versions are still to be announced, Zhou said. When the game is launched worldwide, a PlayStation 4 version is also a possibility. And in China, a PlayStation 4 version might be released after the game’s Xbox One exclusivity is finished. Zhou reiterated that the exclusivity is only for China, but that it needs to release the Xbox One version first.